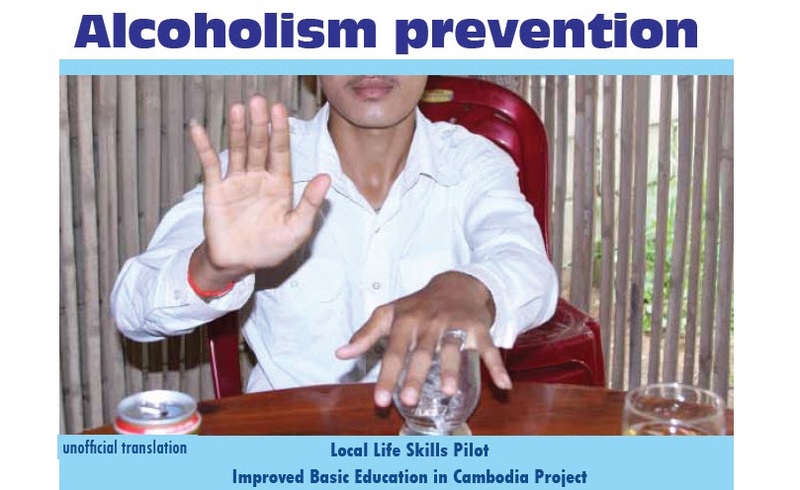 This manual provides teachers with 5 lessons about Alcoholism under the Health and Personal Wellbeing component of the Locally Relevant Social Themes life skills program. The emphasis is on developing the knowledge of teachers and students using appropriate student-centered methodology as outlined in the accompanying Local Life Skills Trainer/Teacher Education Manual. In these 5 lessons the teacher can provide the students with sufficient knowledge and applicable tools to make responsible choices towards drinking alcohol. Recent studies indicate that the number of Cambodian teenagers that start drinking at an early age is rising, as is the amount of alcohol they consume. It is therefore that this manual can change their stance and awareness towards the impact and effects of drinking Alcohol.